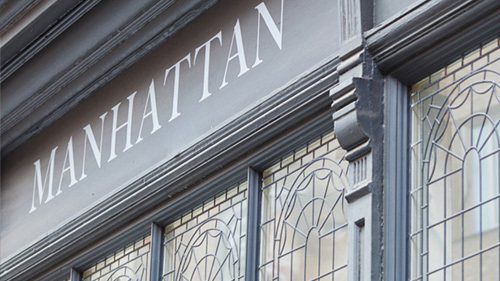 Manhattan34 is a Leicester cocktail bar styled and inspired by the end of Prohibition in 1934. America saw an explosion of bars and speakeasies in the mid-1930s. The end of Prohibition brought new freedom. This gave the American people the chance to meet, drink and express their creativity in a way that had been shunned. Experimental bartenders developed exciting new combinations of flavours. The artistic and music scenes also flourished in the new environment. Socialising was the new order of the day. Here at Manhattan34 our aim is to capture the atmosphere of that time, in every detail of our bar. Our art deco styling gives you an elegant place to unwind. The busy programmes of live music and comedy showcase local creativity. 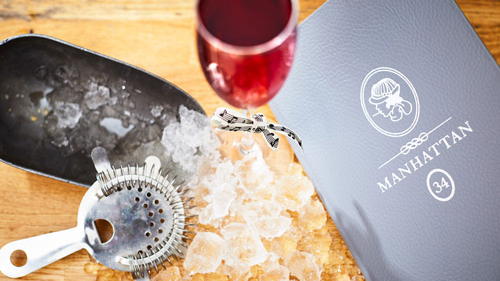 Our exceptional cocktails are made from only the finest ingredients by expert bartenders. All this and more makes Manhattan34 the perfect choice for a great night out. 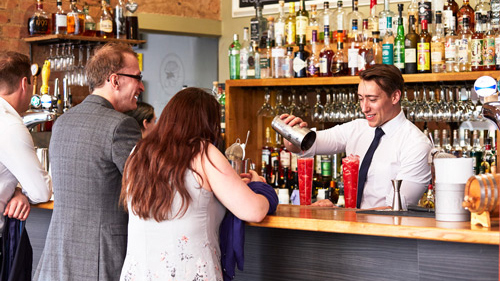 Our expert mixologists will teach you how to make classic cocktails as well as help you create your own concoction. Tasting is a must! 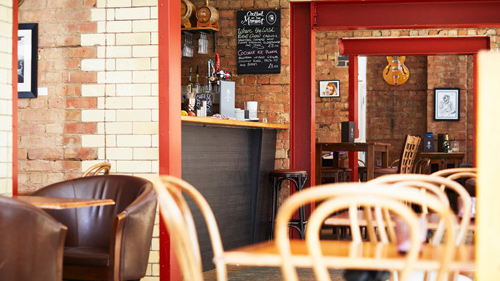 Our basement space and upstairs rooms are ideal for private parties. For bigger parties you can even hire the entire venue if you wish. Want to treat someone to a fun night out? 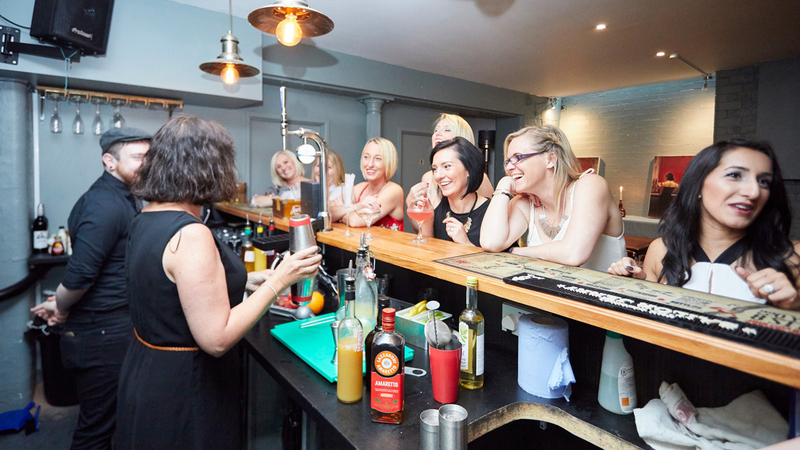 Our vouchers can be used for Masterclasses or free drinks up to a value of your choosing. There's always something happening at Manhattan 34, whether it's live music or stand-up comedy, we love to keep you entertained. 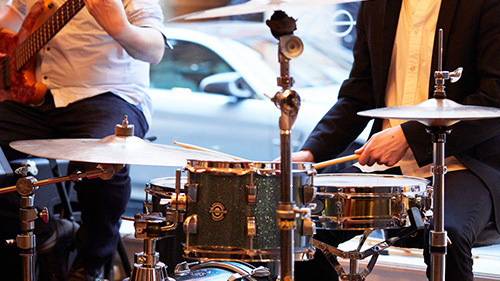 Manhattan 34 loves live music, which is why we have musicians playing every week. Manhattan 34 offers an evening of comedy and cocktails every month along with other comedy evening.